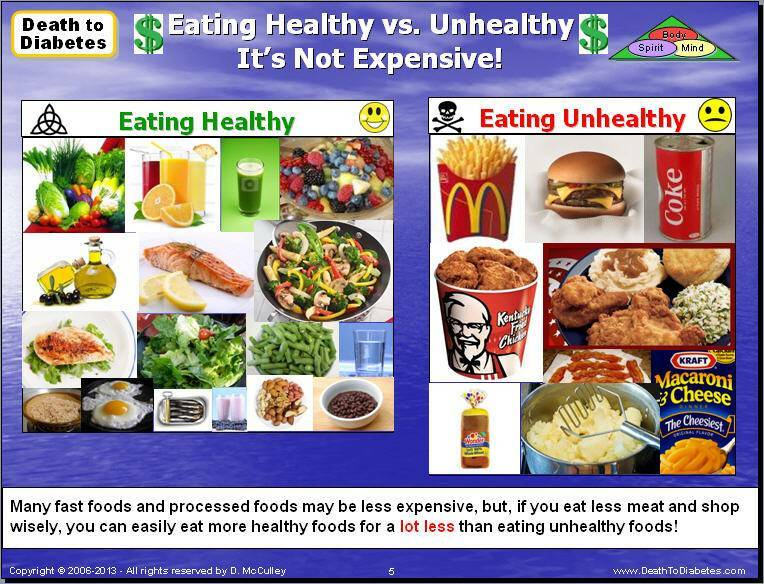 Despite what you've heard, it does not cost more to eat healthy -- especially if you transition to a plant-based nutritional program such as the Death to Diabetes Super Meal Model. This kind of plant-based nutritional program avoids the high costs associated with eating excess animal meat, which is one of the most expensive items in the grocery store. In addition, if you avoid the high costs associated with eating out, you can actually save a lot of money by eating healthier! Also, you will save even more money because you'll be able to avoid thousands of dollars of medical expenses for prescription drugs, OTC drugs, doctor visits, hospital stays, and surgeries! Most people discount this as savings because most people don't expect that they're going to spend thousands of dollars on medical expenses. But, it's that kind of thinking that has led some people to end up in bankruptcy or homeless -- because of unplanned medical expenses. It's a little known secret that the Number 1 reason for bankruptcy in the United States is due to medical expenses! Many people are just one major disease or one major surgery away from bankruptcy or being homeless. In addition, eating healthy reduces the amount of time you spend on sick days away from work. Staying healthy and being reliable such that you don't miss a lot of work may help you stay employed. 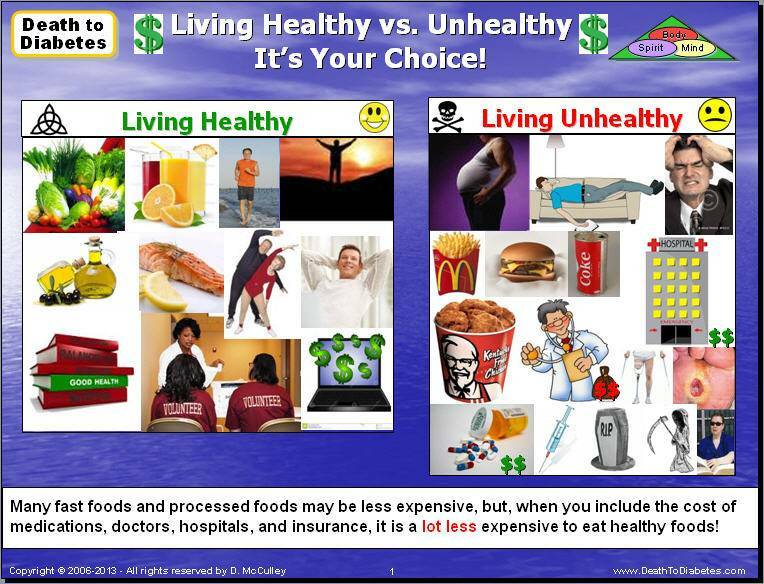 Given today's economic climate, this cannot be overlooked as an important benefit of eating healthy. Of course, you will spend a few extra dollars during the first couple of months because you need to stock your cupboards, refrigerator and freezer with certain healthy foods that tend to be more expensive than the less healthy versions, i.e. extra virgin olive oil, wild salmon, organic spices, extra virgin coconut oil, Omega-3 organic eggs, free-range chicken breast, organic brown rice, sprouted grain bread. 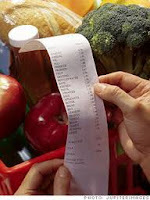 However, as explained on this web page and in the Death to Diabetes Cookbook, there are many ways to save money when purchasing healthier foods. 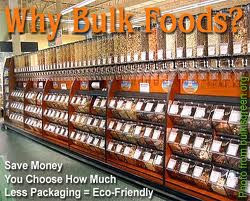 For example, some of the ways to save your money and reduce your grocery bill include the following: buy in bulk, buy locally, shop online at various discount stores, buy inexpensive super foods such as beans, prepare soups & stews. Prepare meals that will “stretch” expensive food items, i.e. stews, casseroles, stir‐fried dishes. -- Stay on the perimeter of the store, away from the processed foods. -- Buy store brands if cheaper. -- Find and compare unit prices. -- Purchase some items in bulk or as family packs. 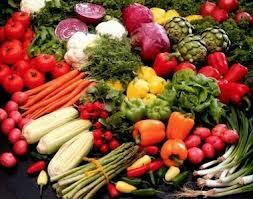 -- Choose fresh fruits and vegetables in season. -- Buy canned vegetables with less salt. 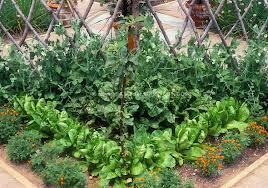 -- Avoid pre‐cut fruits and vegetables. -- Avoid individual cups of yogurt. 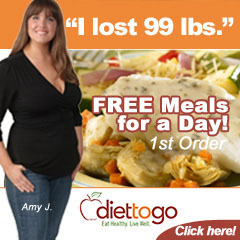 -- Avoid instant rice and hot cereal. inexpensive, flavorful additions to meals. 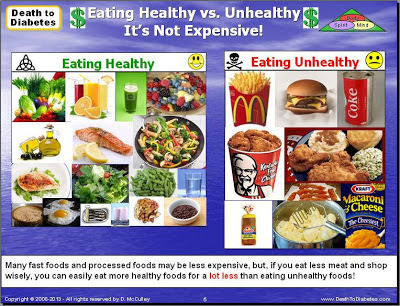 Note: Refer to this blog post for more tips about how to eat healthy inexpensively.